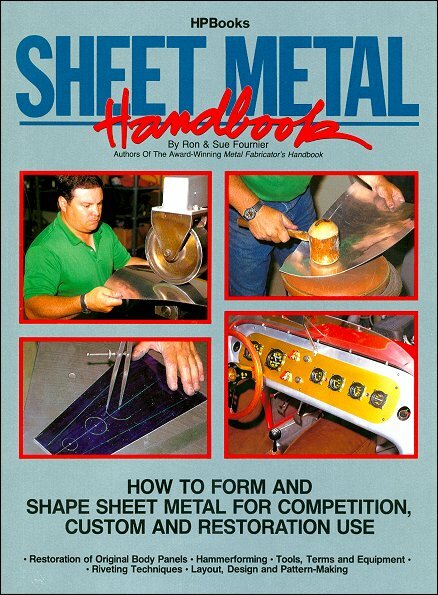 The Sheet Metal Handbook: How To Form and Shape Sheet Metal how-to book was written by Ron and Sue Fournier, and published by HPBooks. This book is a follow on reference to Ron's very popular Metal Fabricator's Handbook. We recommend buying both - you won't be sorry you did. If you want to be able to design and fabricate your own aluminum wheel tubs, body panels, hood scoops or a dashboard -- to name but a few items -- the Sheet Metal Handbook is your guide to mastering this craft. Authors Ron and Sue Fournier pack over 30 years of experience designing metal components for race cars, dragsters, street rods and more, into 144 photo-packed pages. Over the years, Ron has crafted custom metal components for many racing greats, such as: A.J. Foyt, Roger Penske and Kar Kraft, to name a few. Whether restoring a collector car, building a racer or a muscle car, if you need to develop your metal-working skills, this is the book for you! If you are interested in learning more about Fournier sponsored Metal Fabrication Workshops, metal fabrication tools and equipment, please visit the Fournier Enterprises, INC. website. 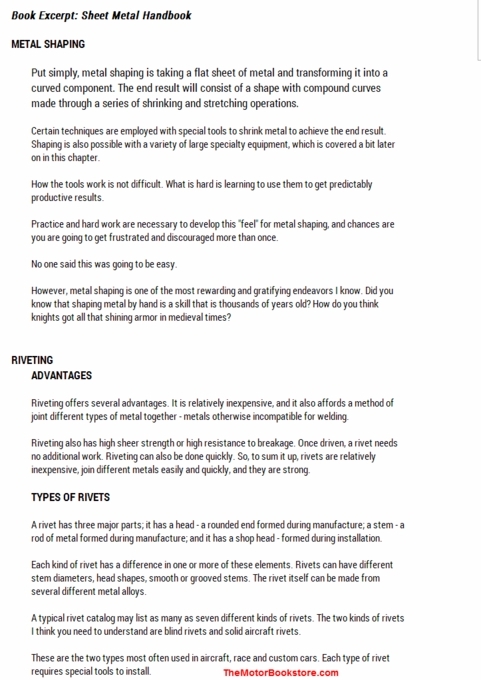 Ask a question about Sheet Metal Handbook: How To Form and Shape Sheet Metal.